The Cambridge Companion to Nelson Mandela (Ed. Rita Barnard) will be launched in February 2014. The notion of a “Mandela myth” is one of those clichés that overuse has rendered almost meaningless. Nonetheless, it is useful to pause for a moment and to consider the implications of this commonplace conjunction of Mandela’s name with the idea of the mythical. A myth is essentially a narrative structure, a story that unfolds in time, following a particular logic of cause and effect. 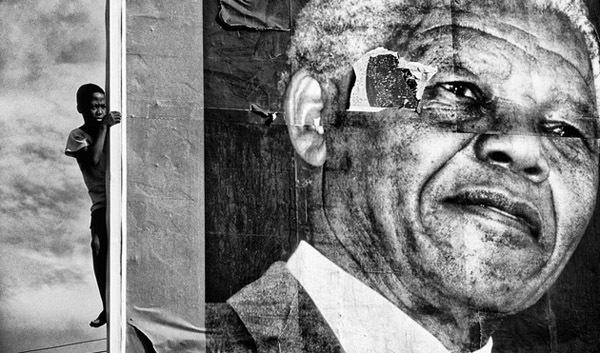 Mandela is remembered first and foremost as an exceptionally shrewd and capable politician. To invoke his name in relation to myth, then, is really a way of gesturing towards the dynamic intersection of politics and stories. My contribution to The Cambridge Companion to Nelson Mandela is an attempt to think about the story that sustains the idea of Mandela as a political figure. I suggest that this narrative is, in fact, both remarkably stable and authored largely by Mandela himself, most notably in his famous autobiography, Long Walk to Freedom. It is a story of the maturation of the individual towards a culminating moment of self-realisation that coincides with the full assumption of social responsibility. This kind of story, which we can call a bildungsroman, provides a narrative structure that is exceptionally good at reconciling the contradictions of Mandela’s life by the simple expedient of presenting contradictions as moments of personal development spread out on a timeline. Mandela’s autobiography created a template that continues to define the way he is represented and thought about. Moreover, his life story has become a part of his political legacy: his autobiography provided a way for us to understand who we are as South Africans, he framed our aspirations for us, defined our idea of citizenship and constructed a bridge between the idea of personal development and the legal concept of the universal person of human rights. His story, as he always reminded us, is our story. In some ways, the massive state ceremony on 10 December 2013 to commemorate Mandela was an opportunity for the beleaguered African National Congress, under fire for its perceived corruption and nepotism under the controversial leadership of Jacob Zuma, to lay claim to the figure of Mandela just before the crucial national election scheduled for 2014. It presented an occasion for the ruling party to assume ownership of Mandela’s narrative. In a startling turn of events, however, president Zuma was booed by a section of the crowd: a terrible and unanticipated embarrassment for the ANC, and one that unfolded under the eyes of the entire world. It was difficult to avoid the impression that the contrast between Mandela’s life – recounted by a visibly rattled Zuma who barely managed to look up from his script – and the apparent venality of the current regime sparked the jeering. It seemed as if the very story that Zuma was recounting in the service of the ANC had turned poisonous, as if the narrative Zuma was obliged to finish on his public platform was dismantling his own legitimacy. In the crowd, groups of protesters were making the sign that calls for the substitution of a player in a soccer game while Zuma’s face towered over the crowd on the large screen. Hundreds of people started leaving the stadium while Zuma was still talking. In 2009, the ANC managed to persuade a frail and somewhat confused-looking Mandela to appear on stage with Zuma to endorse his ascension to the presidency and to persuade voters that the line between Mandela and the ANC remained unbroken. Four years later, in the absence of Mandela’s physical presence, it became clear that the ANC could no longer appropriate Mandela’s life story with ease: the close association between Mandela and the ANC, an association carefully forged by Mandela himself, had become unstuck. Mandela’s story no longer unambiguously served the ANC but had, after his death, taken on a life of its own. Right at the heart of this calamity, on the main stage, the stern-looking figure of the sign-language interpreter hired for the occasion, Thamsanqa Jantjie, was in the middle of what he later claimed was a schizophrenic breakdown, signing complete nonsense. Many commentators made the point that his presence was a symptom of government incompetence: if people were jeering Zuma, it was at least in part because he presided over a government that could allow such a terrible mistake to happen at a massive global event. In more ways than one, what we witnessed at the memorial service was a failure of translation. Mandela’s story failed, in an abrupt and spectacular way, to translate into the official story of the present. It had started to signify in surprising ways, no longer working in the service of its narrators. In this way, as Richard Poplak remarks in his excellent piece in the Daily Maverick, the interpreter had become the one person who was speaking to the truth of the situation. I ended my chapter in The Cambridge Companion to Nelson Mandela, which I wrote before Mandela died, by asking what might come after Mandela’s all-encompassing story. Now, after his death, we see how the narrative that sustained Mandela’s image and lent some of its authority to the party that he represented so loyally is starting to produce new, unexpected effects. It also reminds us of the volatility and power of narrative.